To lead every coach and athlete into a growing relationship with Jesus Christ and His church is the purpose of the Fellowship Of Christian Athletes. 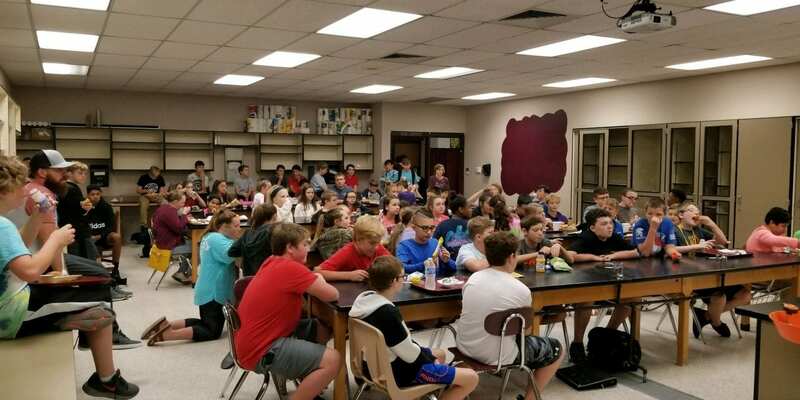 “I think it’s important for young adults to recognize the gospel and I believe that FCA is the perfect way for students to hear and learn about Jesus at school,” Makenzie Rankin said. The campus FCA group is led by students that want to make a difference in someone’s life by introducing them to God. The program is for athletes and coaches only. Middle school teachers, Amy Heim and Joey Bohn help facilitate FCA for middle school. FCA meets every Wednesday during lunch in Room 114.